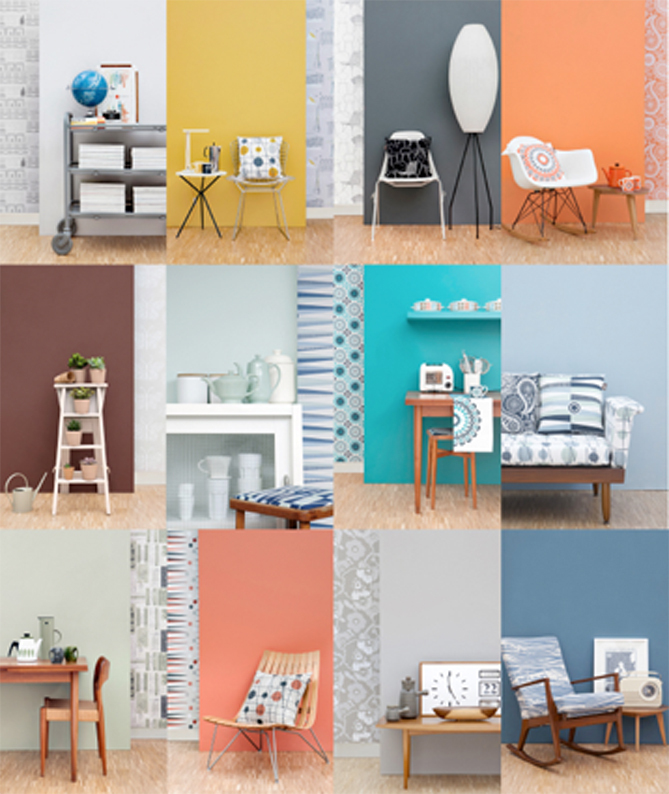 The Mini Moderns team were busy throughout February styling and shooting the new photographs for our range of Mini Moderns Environmentally Responsible paints. The results are now ready to share with you. We worked with wonderfully talented (and extremely patient) Norwegian photographer Hanne Fjell from Ashley Cameron Studio to create 12 lovely shots – one for each shade in the range. Here are our top three faves at Mini Moderns HQ. Charlotte’s choice is British Lichen, with its Holkham pottery mugs and Cathrineholm teapot. Mark’s vote goes for Lido, which makes good use of his Midwinter Cherry Tree dinner service. And Keith is particularly pleased with the Weathered Cedar set-up, since it features the bargain Gordon Russell coffee table he so cleverly hunted down in January.